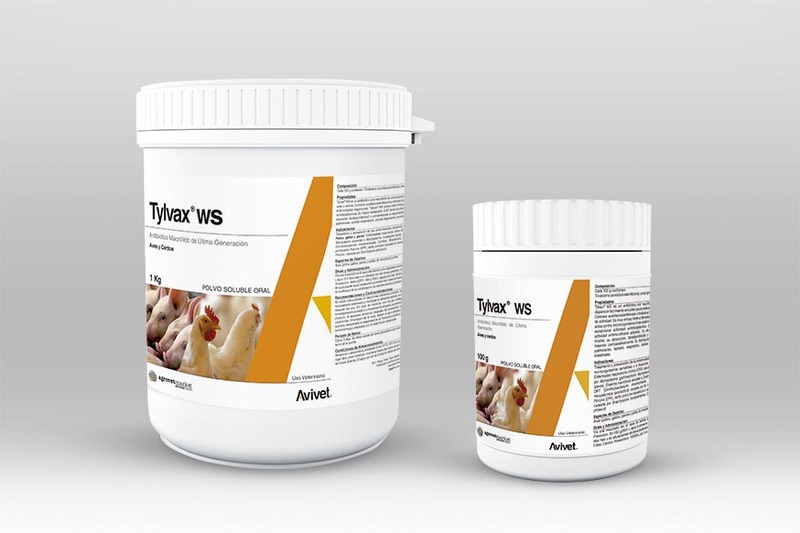 Each 100 g contains: Tylvalosin (as tartrate) 25 g, excipients q.s. 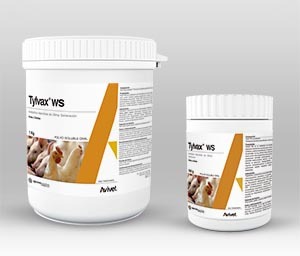 ad 100 g.
Treatment and prevention of respiratory and enteric diseases caused by microorganisms sensitive to tylvalosin. Poultry: Chronic respiratory disease (mycoplasmosis), necrotic enteritis, bacterial enteritis and infections by Ornithobacterium rhinotracheale. Pigs: Mycoplasmal pneumonia (enzootic), porcine ileitis, swine dysentery and porcine colitis. Poultry: Preventive: 80-100 g/200 L of water (3 first days of life) and 40-60 g/200 L of water (3-4 more days or in situations of subsequent stress. Therapeutic: 80-100 g/200 L of water during 3 days. Pigs: Preventive: 100 g/500 L during 3-4 days. Therapeutic: Ileitis (PPE): 100 g/500 L of water during 5 days. Other pathologies: 100-200 g/500 L of water during 3-5 days.